The year bring highs and lows for Music in Warrington, as it is for many people and towns. We have been fortunate to be there for most parts of it. As part of our effort to promote music in Warrington, not only have we put on some fantastic events, but we have released some great music on our bandcamp page. This has included our 2nd Festival Compilation and Johnny Jets Debut 4 track EP, which you can download via https://warringtonmusic.bandcamp.com/ for free now. So with 2014 drawing to a close, we bring to you, our highlights of 2014. We would love to hear yours! The beginning of the year was a month of introductions with both The Electric Mafia and Portalights bringing out Music Videos, with both playing regularly over the North West and beyond, both have been recording new music at the tail end of 2014 and are ones to watch in 2015. 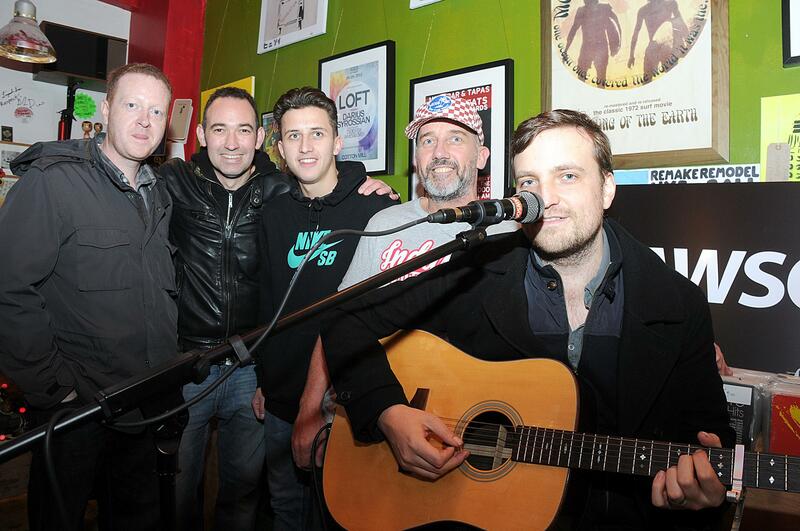 The Lounge was host to a special Acoustic show by Brit poprock stars Dodgy on Saturday 18th. Playing just 3 special, acoustic dates around the country, it was a return to Warrington after playing at the now defunct Osale Rooms in November 2011. Having toured across England & Wales, Alt rockers 7 Day Weekend called it a day. A highlight in previous years being their support slot for Feeder at the Prr Hall. All their music is available for free download on their bandcamp page here. As part of a Warrington Youth Service project funded by the National Foundation for Youth Music, Futureproof Promotions was launched to give young people opportunity to run shows in Warrington and had their first show at the Parr with Chester’s Above The Underground headlining an event which also included Cryonic Noise and Johnny Jet. They would go on later to host other shows at the Youth Cafe, and Friday’s ‘Big Top Event’ at Warrington Music Festival. March was a month of the big hitters with Miles Kane playing a sold out show at Parr Hall, whilst Milton Keynes’ Grime Metallers Hacktivst playing a sold out show at The Venue as part of Asylum clubnight’s re-launch. There was more crowd surfing at Hacktivist in the first song than there had been at any show in the town and it came the same week the band were announced to be playing the main stage of Reading & Leeds Festival. The show was to be the last for Sometime After Dark who formed in 2010. Another month, another iconic name came to down with The Buzzcocks taking centre stage at Parr Hall. A week later, another iconic name (of sorts) was in town, in tribute act, Only One Direction. [WAM] met up with the band backstage beforehand and it was easy to see how much pride they take in what they do. Talking to [WAM], they were honest in admitting it’s not to everybody’s taste, they get to travel the world, and do so, because they are good at what they do. We photographed the night for the website without knowing any of the words, but wished them well! April 19th saw Record store day come to Warrington with Head Music Store putting on a day of music, which included Kieran Gallimore, Old Town Quartet and Van McCann from Catfish and the Bottlemen. It was the first time Van had been back to Warrington since August 2013, with their rapid rise, including winning a ‘best newcomer’ award at the inaugural BBC Music Awards, If you managed to catch them at Friars Court in the past, consider yourself lucky! You can find videos by all the artists who played here. May was a busy month for music in Warrington with eagerly awaiting opening of The Doghouse (Buttermarket St). They promised free entry shows every Saturday Night with a Friday night jam night returning. It was Slydigs who packed out the venue on opening weekend to set the bar high for future shows in the house. Later in October, the band would be announced as supports for The Who going on to be asked to join the band on a further two arena dates. Tickets are available here. May also saw [WAM] host two shows at The Venue (Barbauld St), hosting Album/ EP Launches for Blues Rock Band, The Black Circles, and Metal Punk Rockers, Blast Tyrant. Both shows had over 120 people there, a sign of resurgence in local show attendances. Unfortunately alongside the rebranding of the club, came the decision to end live music. FC2 as the venue was to be known has gone on to host very successful Techno Nights, ran by the Giraffe Music team. May also saw Imperium play the final of the ‘Rock The House’ competition at Houses of Commons, which saw the band play in front of MPs and judges. The Clone Roses made their yearly return the Parr Hall, with special guest, DJ Clint Boon. It was at here where the iconic Stone Roses practised before their world tours and made their return after 16 years apart. The film ‘Made of Stone’, which was made to capture that moment, is to be broadcast at the Pyramid Centre on the 13th March. Tickets are available here. July was a busy time for Festivals in the town with Warrington Music Festival, back and bigger than ever, which was capped by a performance by multimillion selling act, Scouting For Girls, as well as headline sets by local bands, Blast Tyrant & Roughneck Riot (Friday & Saturday respectively). This year saw a big top being set up on Bank Park, with struts buried a metre into the ground, it gave the stage a professional appearance, as well as keeping the rain at bay. View videos from the artists playing at #WMF2014 here. Glastonferry, as well as it’s usual tribute acts, saw local acts The God Complex, Slydigs & Kim Jennett plus many many more play on the outdoor stages at The Ferry Tavern in Penketh. The Festival returned in September, with tickets being sold in just 26 hours! In July, I was lucky enough to be invited on Roughneck Riot’s European tour, taking in France, Belgium, and Germany. A photo tour diary will be up in January in anticipation of their next European tour in February. Amongst the touring acts to play Warrington was canadian prog rock band, Double experience. Drawing inspiration from ‘Nerd Culture’, they hugely impressed, especially timing a middle eight to the exact time it took singer, Ian Nichols, to go to the bar for a shot of Sambuca with one lucky audience member. 15th of August saw Ça Caille released their debut EP at The Lounge. Expect more music in the new year. The end of the month saw The Albion Music Festival take place with Blast Tyrant, Grenade, Kye Jones and Unholy Whinos, which raised £1220 for St Rocco’s & Shine UK. In September, [WAM] turned 2 and saw Frank Turner come to Warrington. As the first of his shows to sell out, the crowd was understandable in high spirits and was one of our highlights of the year. We were lucky to get a interview with the man himself beforehand, you can find that here. The month saw Antelopes make a long awaited return to Warrington & Kindest of Thieves play for final time in Warrington as a two piece (more on that in November). The month saw Roughneck Riot release their long awaitined 3rd album, ‘Out Of Anger’ (review here). Having topped many album of the year polls on Punk/ Folk websites, you can find the band hosting a special 10 year anniversary show, on the 28th March (venue tba). Mood was soured at a pack out Chas & Dave performance at the Parr Hall when one individual climbed onto the stage and had to be escorted off. The band did not come back for an encore but still managed to play out the classics such as ‘Ain’t No Pleasing You’ & ‘Rabbit’. Dientes made their long awaited return with support from The Electric Mafia, which was one of the very last events before The Doghouse came under new management. Previewing new music as well as ending with a few crowd favourite covers, it was good to see the band again and hope to see more of them in 2015! 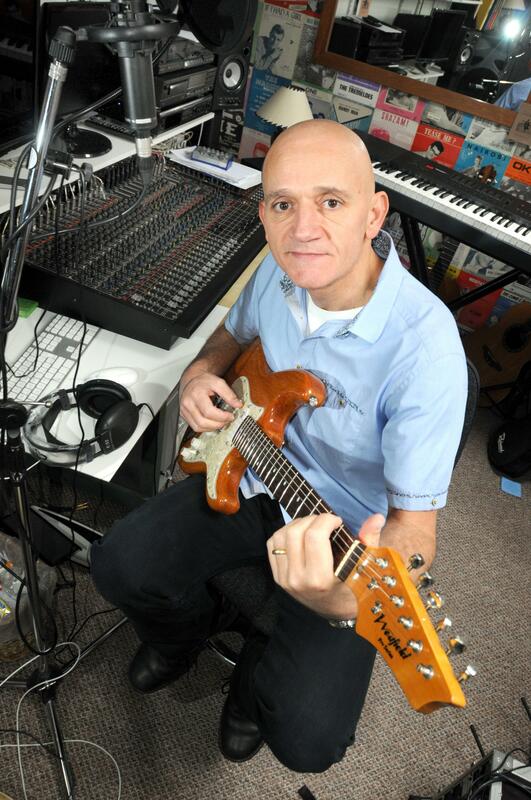 November saw a new incarnation of Kindest of Thieves as song-writer, Chris Fox smashes together Rockabilly with a electronic sound, we went to meet Chris to hear a preview of the new tracks, which you can find here. December was a bumper month at the Parr hall with Yorkshire Rock band Embrace taking the stage. Announced in August, the show followed two sold out shows at London’s Shepherds Bush Empire, festival slots at T In The Park and V Festival and their first new album in seven years. Announced in September and rounding off the year, the 18th December saw Starsailor, another reformed band make a long awaited return to the same venue. The quintet includes Warrington’s Ben Byrne and James ‘Stel’ Stelfox who met at St Oswald’s Primary School. The band also played a special acoustic set at Lizard Inc Records on Legh Street on the same day. Slydigs finally made their appearances as special guests for The Who across December, playing Arenas in Liverpool, Manchester & Cardiff. The band were unfortunately not able to play in London due to illness in The Who Camp. Look out for these upcoming rock & rollers in March 2015 on the rescheduled 02 Arena shows! 2015 is promising to be a great year for local artists, with many due to break out into the wider national conscience. With live music at its lowest output in the town, with no dedicated live music venue for local & touring artists, the year is less secure for future artists, who may be forced to develop out of town. Do let [WAM] know your highlights and what you are looking forward to in 2015! Happy New Year!